Unfortunately we won’t be getting anymore Ballet Pumps in stock – Once they’re gone, they’re gone. Wouldn’t it be lovely if we could go barefoot everywhere, feeling the soft embrace of the earth underneath our feet all day long. We all know that it would do us the world of good, but unfortunately this isn’t always possible. However we do have the next best thing. 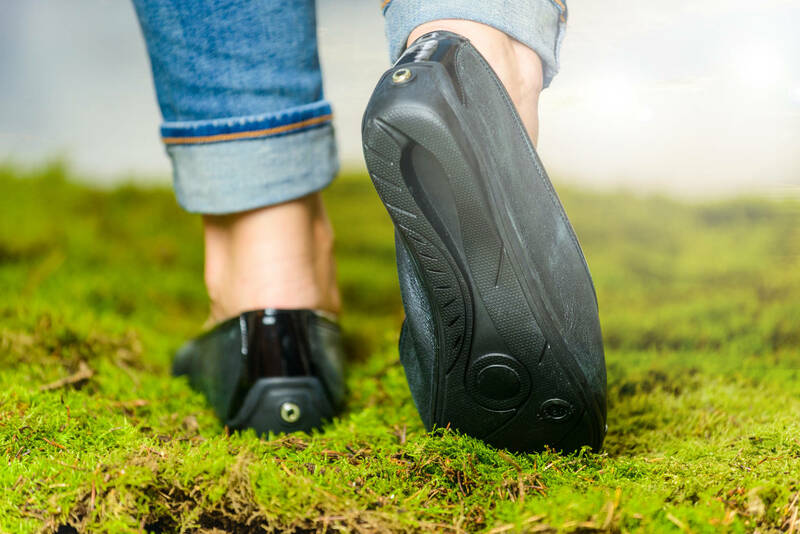 Our grounding footwear is not only stylish, comfortable and well made but also connects you directly to the earth and improves your health and well-being with every step you take. Available in a variety of styles and colours. Will work on all natural surfaces as well as tarmac and concrete. Grounding socks can be worn in conjunction with the shoes if you get cold feet. Unfortunately we won't be getting anymore Ballet Pumps in stock - Once they're gone, they're gone. Each of our shoes and flip-flops has a conductive carbon segment built into their soles. 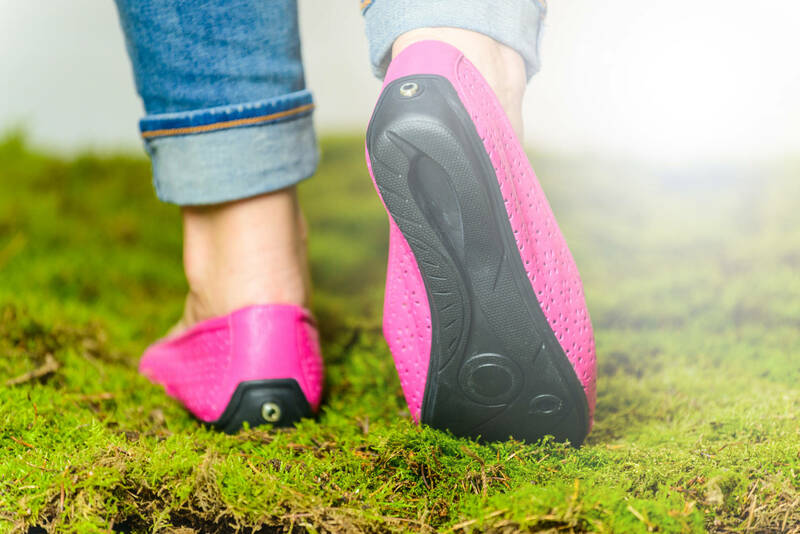 This segment directly connects your foot to the earth allowing you to receive a healthy healing flow of electrons from the earth, promoting your health, well-being and vitality. 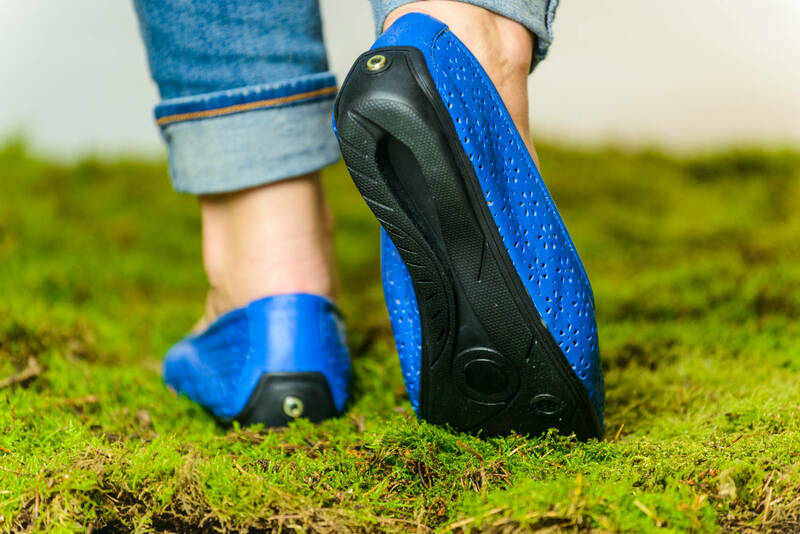 Our grounding shoes require direct skin contact with the foot to work or you can alternatively wear a pair of our conductive Grounding Socks. Very thing tights will also work but may reduce the conductivity slightly. 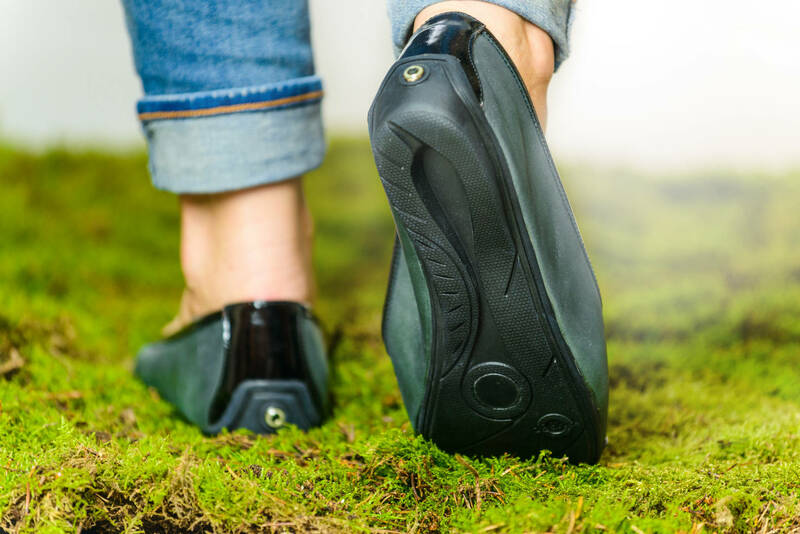 The grounding shoes work on most surfaces including concrete, tarmac, grass, earth and stone. Earthing: The Most Important Health Discovery Ever? is probably one of the most eye-opening and health supportive books to appear in decades. Earthing introduces the planets powerful, amazing and overlooked natural healing energy and how people anywhere can readily connect to it: by walking barefoot and when not possible using indoor equivalents. The never-before-told story-filled with fascinating research and real-life testimonials-chronicles a discovery of the first magnitude with potential to create a global health revolution Audio CD of the Earthing Book Not a big reader? Why not listen to the book instead of reading it. Our Clint Ober Earthing Book audio CD is the perfect accompaniment for bedtime listening, commuting or those long cross-country drives we all do occasionally. The CD is recorded in an MP3 format so is perfect for listening on your laptop or in the car so you can listen on the go. Don’t let getting from A to B, drive you round the bend. Introducing our Car Pads and Bands. These products are designed to gently discharge any electrical pulses you build up whilst travelling by car, making you feel more relaxed, alert and less fatigued. The Car Pad is a simple conductive seat pad which gently drains off excess electrical charge from the body. This charge can cause much of the fatigue and stress related issues we encounter whilst driving. Conductive carbon particles built into the pad gently discharge any detrimental charges from the body into the cars chassis. The net result is a lower burden on the body's nervous system. Drivers report feeling calmer, more alert, and less fatigued whilst driving. Car grounding may even reduce symptoms that electrically sensitive individuals typically experience in the car. Features of the Car Pad/ Mat and Bands Easy to fit. Helps keep you calm and focused at the wheel. Helps to prevent fatigue and aches caused by long journeys. Uses a coiled stretchy cable for safety. Is compatible with all makes and models of car.